Who was James Clerk Maxwell and what did he contribute to physics? The Scottish scientist and mathematician James Clerk Maxwell (1831–1879) made huge discoveries in a number of areas. In 1861, he produced the first color photograph. He studied the rings of Saturn, theorizing that they were composed of millions of tiny particles rather than solid or liquid structures. He also helped develop the kinetic theory of gases; and his theory of electromagnetism tied together the relation ship between electricity and magnetism. Between 1864 and 1873, Maxwell showed that light is actually electromagnetic radiation. A set of four equations, known as Maxwell’s Equations, shows the most basic mathematical and physical relationships between electricity, magnetism, and light. 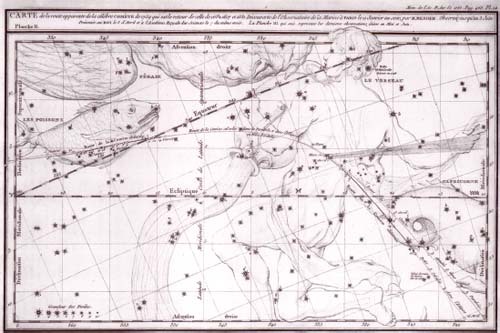 An illustration by Charles Messier from his famous catalog describing the path of Halley’s comet.